Every Wednesday through Labor Day, check out a free concert at one of Manhattan's busiest intersections. 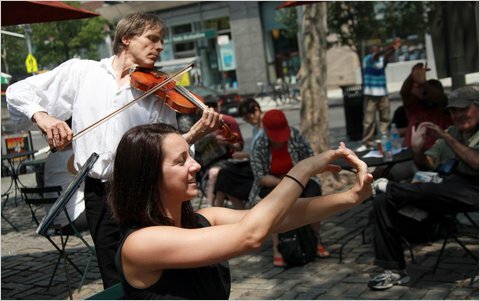 Richard Tucker Square - on Broadway and 66th Street - is where performances from local musicians have been taking place all summer long. The shows begin at noon and for more information you can check out a recent article in The New York Times: Amid the Roar of the M7 Bus, a Little Mozart.